It’s Friday evening and the dinner rush has just hit the Line Creek Chick-fil-A in Peachtree City, a suburb outside of Atlanta. 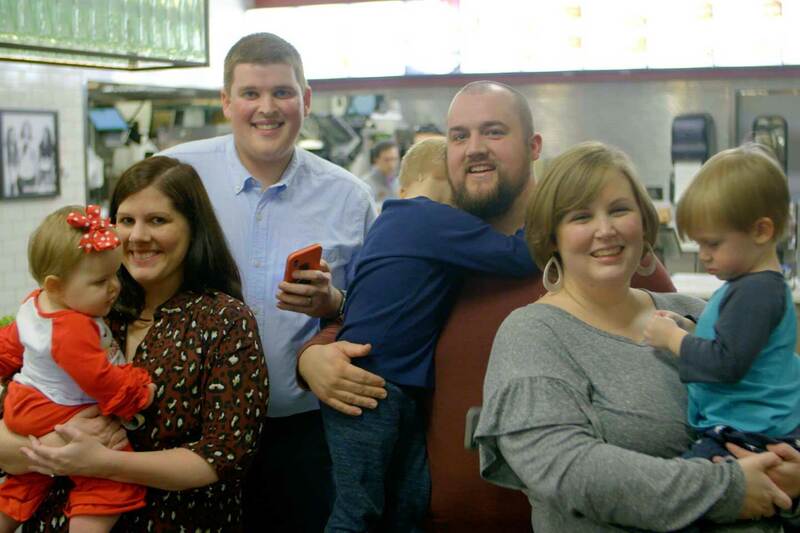 People of all ages are filling up the restaurant, including two longtime friends with a shared love of Chick-fil-A and a little healthy competition. 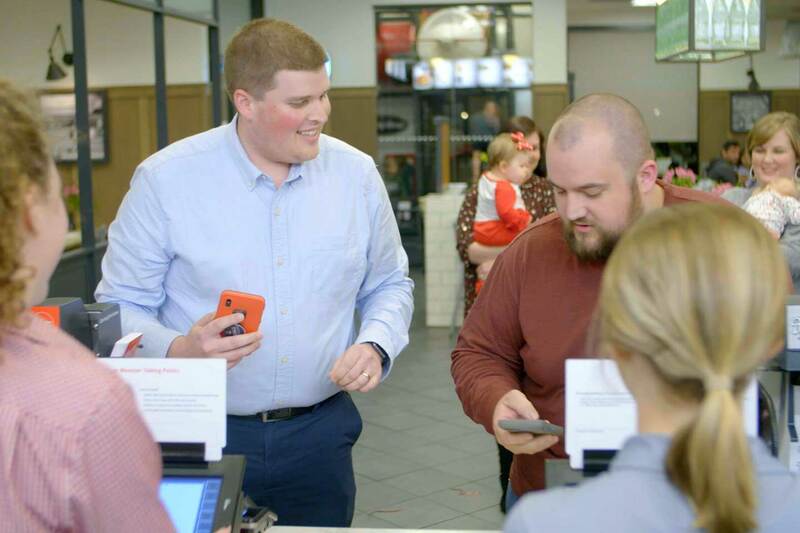 Since Young and Carter first met in 2010, they’ve grown from high school camp counselors to fathers of growing families, but despite all the changes, two things remain the same - their friendship and their love of Chick-fil-A. But even in the best of friendships, there’s always room for a bit of healthy competition and bragging rights. While some compete in fantasy football leagues, others turn their love of food into a race. On your mark, get set…order! Young and Carter’s race didn’t take place on a track, but on the Chick-fil-A App. They competed not for the fastest time but for points and status on the Chick-fil-A One Membership program, which launched in August 2018. Customers earn points with every purchase helping them reach different tiers: Chick-fil-A One, Chick-fil-A One Silver and the top tier, Chick-fil-A One Red. Both friends already used the app on a regular basis, so when the point system was introduced, they both took notice. And Young had an early lead. From there, the race was on with one goal in mind: Get to Chick-fil-A One Red status before the other. 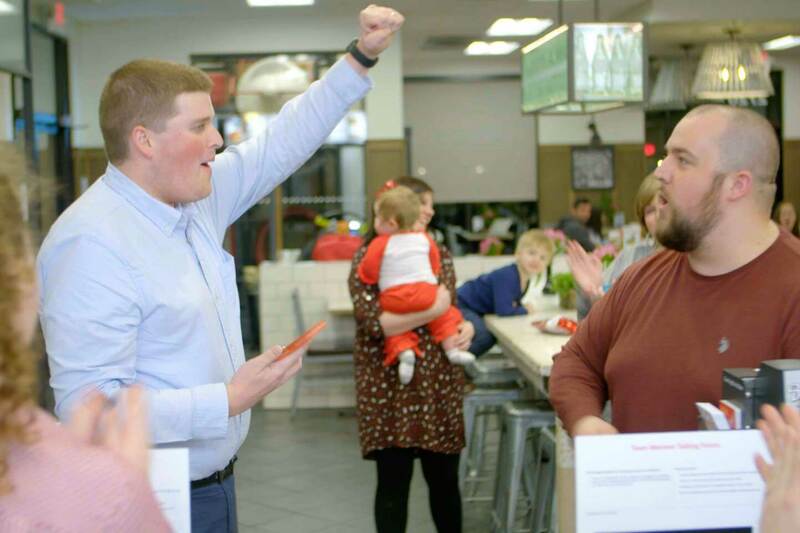 In December, just four months after the competition began, they came to a realization – both were one purchase away from reaching Chick-fil-A One Red member status, achieved upon earning 5,000 points in a year. That’s when the race ended, and the friendship took front and center. “We both realized how much fun it would be if we got to Red together,” Young said. And so, the two friends and their families decided to meet at the restaurant to place the orders that would take them over the finish line. As they walked up to the counter, phones in hand, they announced to fellow customers their soon-to-be accomplishment. They had their orders ready to go: A Spicy Chicken Sandwich Meal, with pickles, and large fries for Young and a Spicy Chicken Sandwich with American cheese and bacon for Carter. The both took a deep breath and scanned their phones. The two beeps that followed served as their end game. “We did it!” Carter yelled out as confetti fell all around them. “I couldn’t have done it without you,” Young said as he hugged his friend. The crowd roared behind them as restaurant Team Members threw out high-fives. Which MLB stadiums serve Chick-fil-A? Batter up! With opening day right around the corner, baseball fans are eagerly awaiting the crack of the bat, the smell of freshly cut grass and the taste of peanuts, hot dogs and, in some cases, Chick-fil-A. For fans in Atlanta, Philadelphia and Houston, there’s another reason to love going to the stadium: the food, and we hope you’ve saved room for Chick-fil-A® Chicken Sandwiches.